In April I travelled to Italy for 2 weeks with my mom and Patrick. 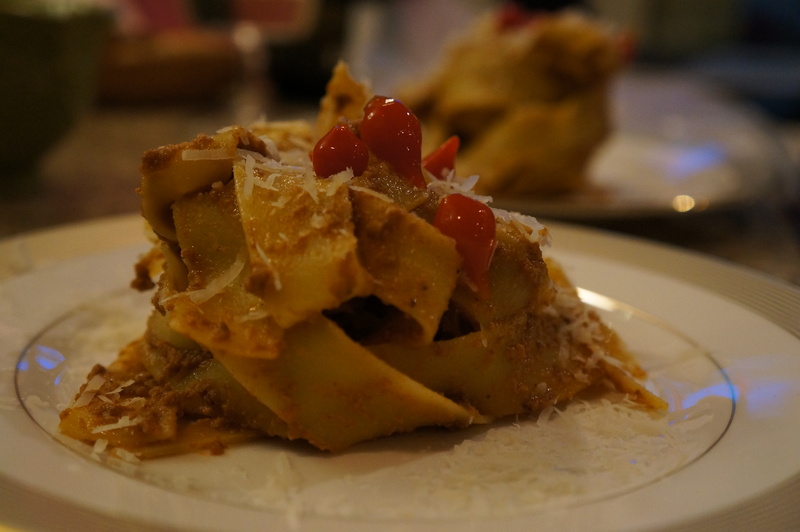 We started our trip in Bologna, which is in the region considered the “food belt” of Italy, and then made our way down to Florence and Rome with stops in Ravenna, Parma, and Siena. At first we started counting how many delicious bottles of wine and bowls of pasta we consumed but it was starting to get ridiculous by day five so we stopped. Needless to say we ate very well and have a true appreciation for the amazing fresh food products there. Whenever I am travelling in a place like Italy, busting with fresh vegetables and cheeses in all the lovely outdoor markets, I am desperate to just cook and cook. Until I get a villa in Tuscany that’s probably not in the cards but I do bring as much back with me as possible. I try to pack as light so we have room to bring back the good stuff you just cant get here in the states – its tough leaving that extra pair of shoes behind but its worth it when you can drizzle fresh green olive oil straight from the fields. Our amazing friends watched the kitties while we were gone and I figured what better way to thank them then dishing up some of the goodies we smuggled in along with a menu full of our favorite dishes. I also had brought home some beautiful entertaining pieces like this amazing cobalt blue acrylic pitcher. 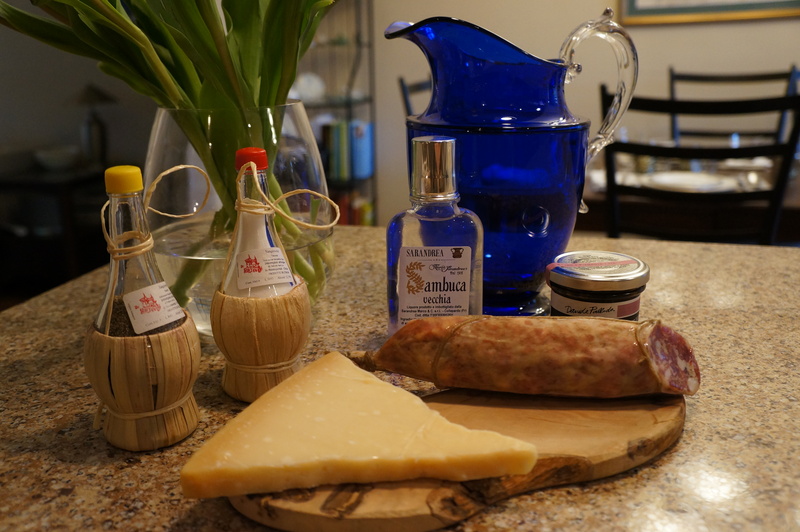 In Florence I purchased small Chianti bottles and then repurposed them as salt and pepper shakers. 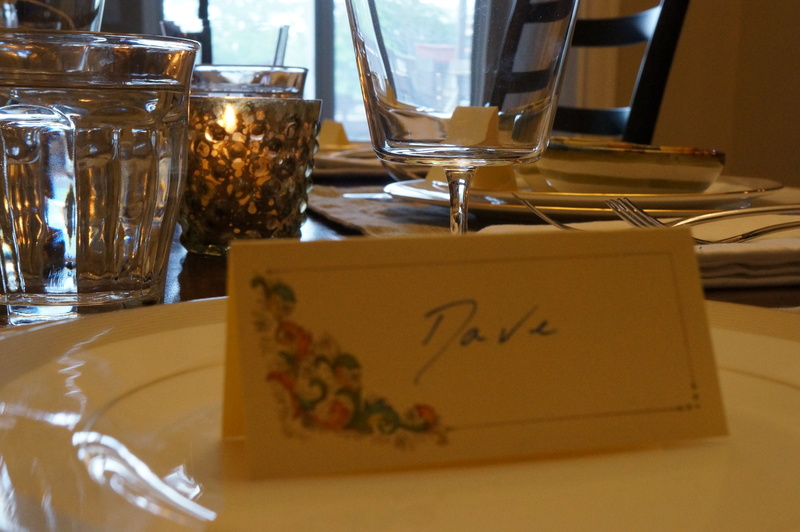 To add a little elegance to the evening I bought place cards from one of the beautiful paper stores in Siena. Of course lots of delicious Italian reds were drunk and both Dave and Ashley and Devin and Erica went home with hand painted olive dishes from Florence as a thank you. Honestly, no one wants to sit through a slide show of your vacation no matter how awesome it was – but here is a delicious and fun way to share your experiences with folks back home. 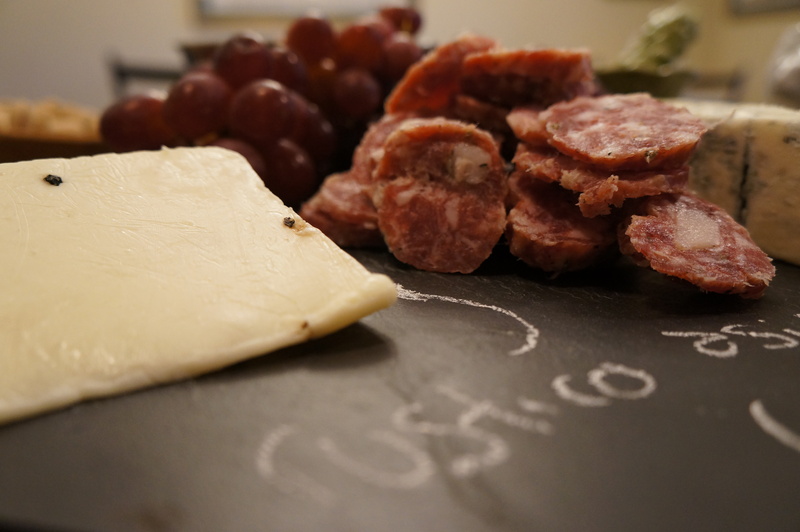 The cheese and sausage we got from the incredible Mercato Centrale in Florence. I had been there once before and described it as my version of heaven but they have managed to make it even better. The first floor food market, which has been in operation for hundreds of years, has everything you can imagine from cured meats, to vinegars and fresh vegetables. However, now you can take an escalator to the 2nd floor and a whole new layer to the market opens up. It’s as if the next generation of the families that operate downstairs decided they needed their own new hip spot to play. There is a cooking school, a small Eataly outpost and amazing spots to have pizza, a beer or watch cheese being made. The bolognese was inspired of course by our time in Bologna but honestly it was not the best version I have ever made. The taste was really rich and deep but I didn’t love the texture so stay tuned and hopefully I will find a version I like that’s blog worthy. 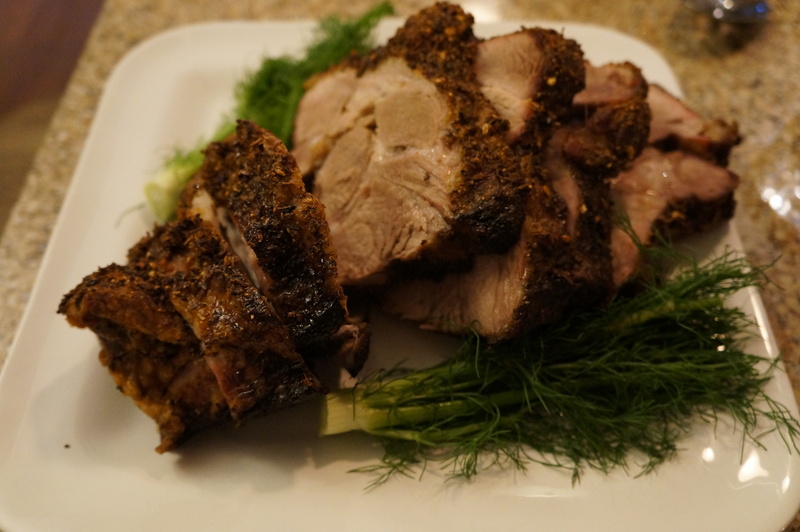 The porchetta is my attempt at a version we had at Il Latini in Florence. 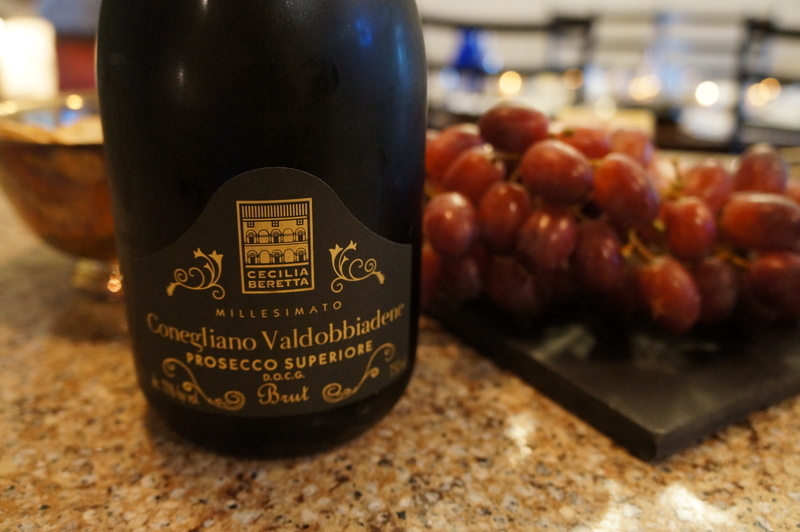 This is a unique Italian experience that’s a little confusing at first (definitely get a reservation) but so incredible. Food just keeps coming and coming including this ridiculous meat plate with porchetta, Florentine steak and a whole duck! It was delicious and one of the best nights we had. 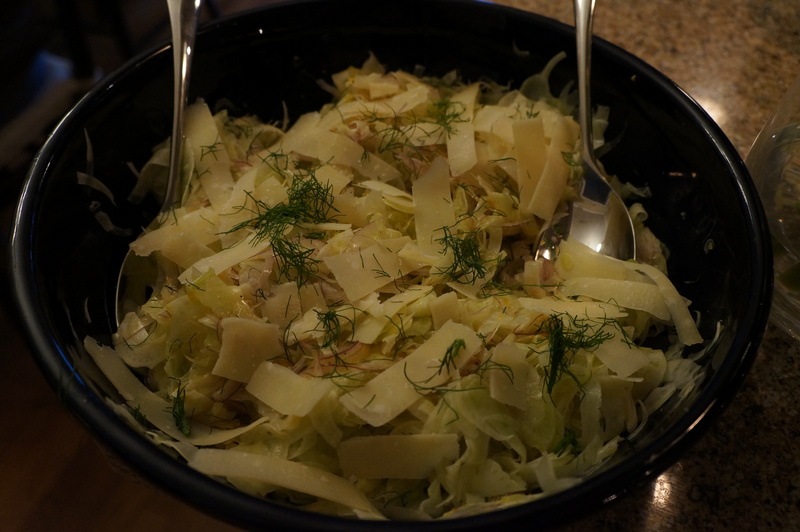 I threw in a fennel salad with lemon dressing just to lighten things up, basically fennel sliced thinly with a little red onion, lemon, olive oil and shaved parmesan. 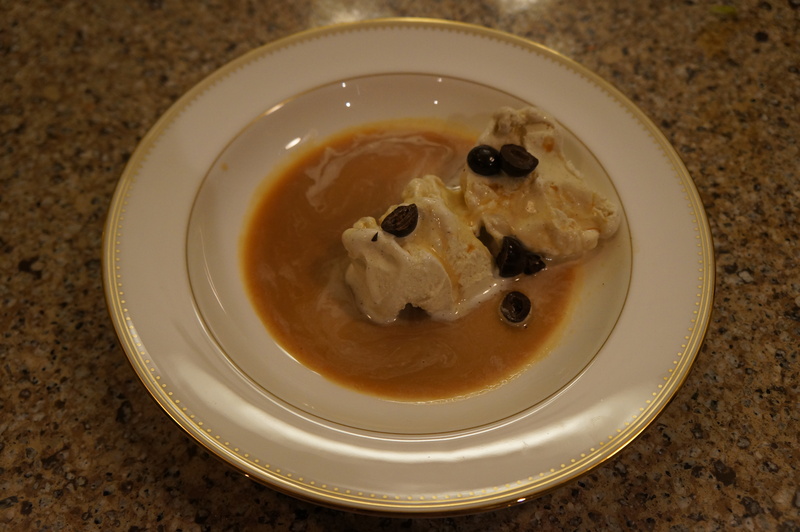 To finish things off we had Sambuca we brought from Rome and affogato, the world’s easiest dessert. Scoop vanilla gelato into bowls and pour over hot espresso – done. I added chopped chocolate covered espresso beans for crunch. It was a great night and a terrific way to remember our trip. Buon appetito! I want to eat all of this. We need to come over for a dinner party soon. You smuggled back sausage?! I promise not to tell your employer. The bolognese was DIVINE!!! Must post that recipe!!! Thats awesome – wish we were coming!